For the past three years, the Nature inFocus Photography Festival has brought together like-minded people, awarding the best work, sparking conversations, and inspiring a growing community, all the while keeping nature in sharp focus. This August, we're back with talks, debates, community stories, and lots more! The Festival, which will be held on August 19-20 in Bangalore, will showcase the images submitted to the NiF Photography Awards earlier this year, which made hearts leap and heads turn. We will announce the much-awaited results for winners under 6 categories: Animal Portraits & Behaviour, Wildscape & Animals in Habitat, People with Nature, Conservation Issues, Creative Nature Photography and the Young Photographer Award, for budding photographers aged 17 and under. The NiF Photographer of the Year, selected by the jury for their art and skill across categories, will also be revealed. The NiF Photographer of the Year stands to win, in addition to the category prize, an all-expenses paid trip for two to the Porini Cheetah Camp at Ol Kinyei Conservancy in Africa – the site of the famed annual wildebeest migration! 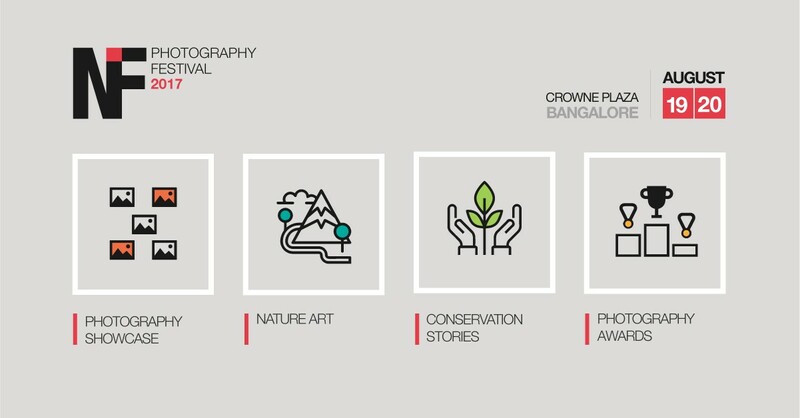 As always, the festival brings together a range of people under one roof – biologists and birders, photographers and filmmakers, conservationists and journalists, artists and designers. Chat with them at the interactive sessions or introduce yourselves during dinner. 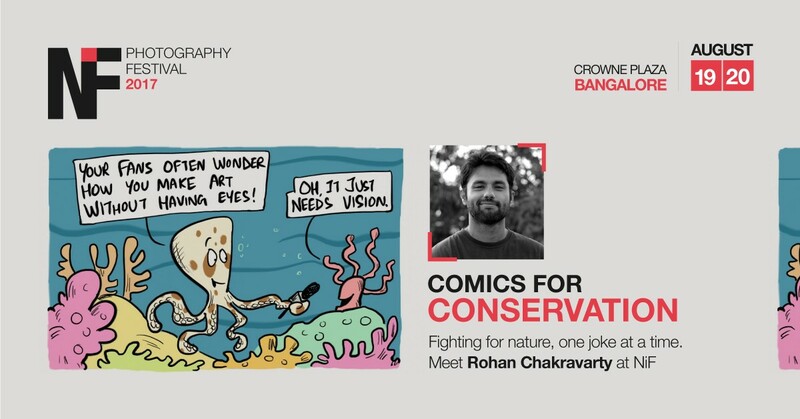 Among the speakers: National Geographic explorer Trevor Frost; carnivore ecologist Mordecai Ogada; award-winning conservation cartoonist Rohan Chakravarty; leopard experts Vidya Athreya, Giri Cavale and Nayan Khanolkar; underwater photographer Sumer Verma, and many more. We’ll also bring you stories from the frontline. 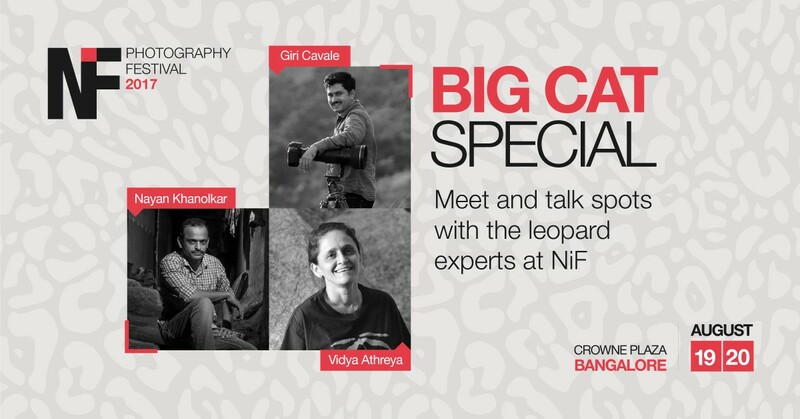 Forest guard and photographer Zakhuma will talk about working with the Forest Department in Mizoram, and Paro Natung and Chandan Patro, patrolling staff and filmmakers, tell us about fighting poaching on the ground. Those are just a few among the many reasons you should plan to be there. Go ahead to the festival site and book your spot now! See you there. 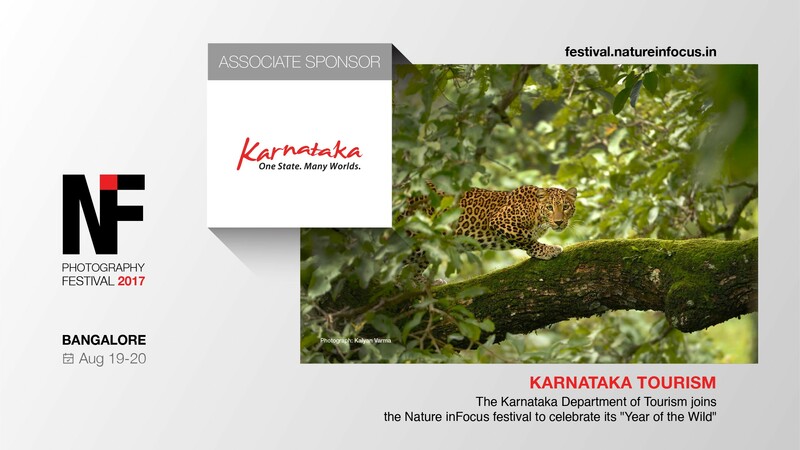 The Karnataka Department of Tourism joins the festival as an associate sponsor to celebrate their “Year of the Wild”, along with Gamewatchers Safaris and Sony. The Crowne Plaza Hotel in Bangalore’s Electronic City, the venue of the festival, is our Hospitality Partner. The NiF Photography Awards are sponsored by Adobe.